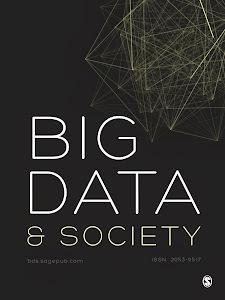 On Wednesday, October 29th 2014, SAGE and members of the Big Data & Society Editorial team and Boards gathered at the Institute of Contemporary Arts in London to celebrate the official launch of the Journal. Featured speakers at the event were Ziyad Marar, Global Publishing Director at SAGE and Professor Evelyn Ruppert, Editor of Big Data & Society. Founder and Executive Chairman of SAGE Publications Dr Sara Miller McCune also attended the event. Marar identified Big Data as a significant topic of our times, and one that SAGE as a major social science publisher wants to address. He noted that after a review process, Evelyn Ruppert was identified as the best candidate to take up the challenge of editing a journal devoted to critical investigations of Big Data. In her welcoming address, Prof Ruppert emphasised that the Journal's foremost aim is to provide an interdisciplinary space for debates about Big Data and its implications for societies. Ruppert also highlighted the Journal's success in involving over 70 scholars from about fifteen countries and multiple disciplines across the arts, humanities, social and computing sciences. She also spoke about the Journal's interactive visualisation (led by co-editor Paolo Ciuccarelli at DensityDesign) which was on display at the event. The visualisation will soon be launched on the website and will enable navigating the content of the Journal via dominant keyword associations.